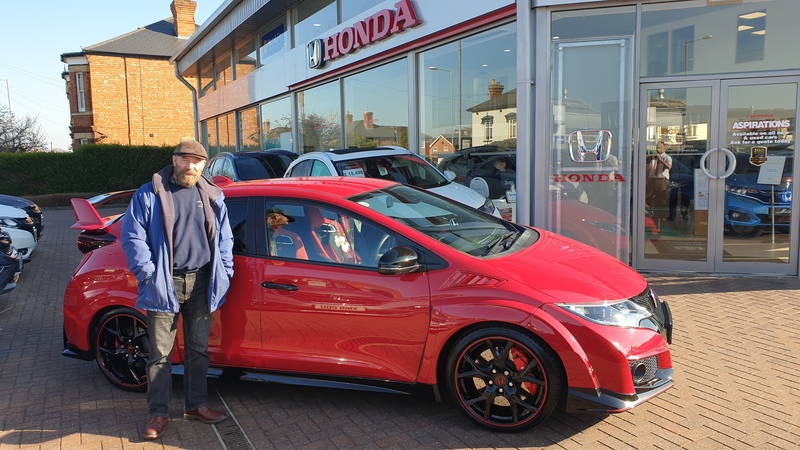 Now the GT86 has gone and I’ve got myself a Honda Civic Type R GT. We’re on the tenth generation of Honda Civic but there have only been five generations of Type Rs. Mine’s a 4th generation car which was made between 2015 and 2017 and is known as an FK2 model. It has the same two litre, turbocharged, 306 BHP engine as the current car (FK8) and is awesome to drive when you put it into +R mode (which adjusts engine, suspension, steering response and stability control) but relatively placid and economical when in normal mode. An ideal car then. I’m not too sure what I’m doing this year yet as far as competing is concerned, but it’s definitely going up Loton Park hillclimb at some stage and we’ll have to fit in a roadtrip too. The Panda’s on eBay right now and is getting some interest so that will be gone soon too and my personal plate, YE11EAU, isn’t much use now, so if you have a yellow car and want a plate, I’m your man. Another new chapter in your extensive car history book!